Byzantium, the successor of Greece and Rome, was a magnificent empire that bridged the ancient and modern worlds for more than 1,000 years. Without Byzantium, the works of Homer and Herodotus, Plato and Aristotle, Sophocles and Aeschylus, would never have survived. The story of Byzantium is a real-life adventure of electrifying ideas, high drama, colorful characters, and inspiring feats of daring. 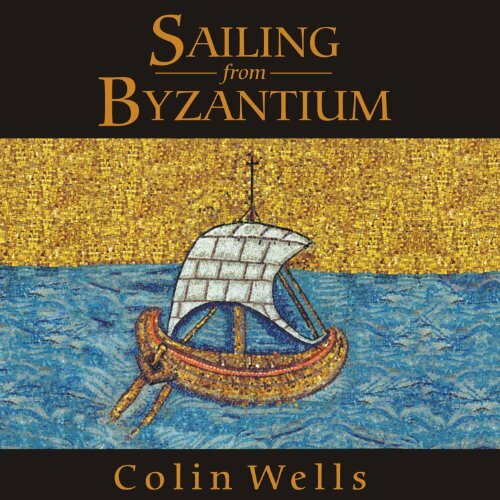 In Sailing from Byzantium, Colin Wells tells of the missionaries, mystics, philosophers, and artists who, against great odds and often at peril of their own lives, spread Greek ideas to the Italians, the Arabs, and the Slavs. Their heroic efforts inspired the Renaissance, the golden age of Islamic learning, and Russian Orthodox Christianity, which led to a new alphabet, new forms of architecture, and one of the world's great artistic traditions. The story's central reference point is an arcane squabble called the Hesychast controversy. It pitted humanist scholars, led by the brilliant, acerbic intellectual Barlaam, against the powerful monks of Mount Athos, led by the stern Gregory Palamas, who denounced pagan rationalism in favor of Christian mysticism. Within a few decades, the light of Byzantium would be extinguished by the invading Turks, but not before the humanists found a safe haven for Greek literature. And the debate between rationalism and faith would continue to be engaged by some of history's greatest minds. Fast-paced, compulsively readable, and filled with fascinating insights, Sailing from Byzantium is one of the great historical dramas, the absorbing story of how civilization's flame was saved and passed on. ©2006 Colin Wells (P)2006 Tantor Media, Inc.
Accounts of European History end with the sack of Rome in 410, then have a black hole called the Dark Ages, and then pick up the story with Charlemagne. This account of history is very incomplete and inaccurate. While Western Europe was in decline, the Byzantine Empire was in existence from the year 330 to 1453 during which time it was the wellspring of science, art, literature, and history. This Empire was in existence longer that Britain’s government, if one dates it from the Battle of Hastings in the 1066. The works of the ancient Greeks and Romans were preserved, copied and transmitted. Byzantium and its enemies referred to it as the uninterrupted Roman Empire until its fall. 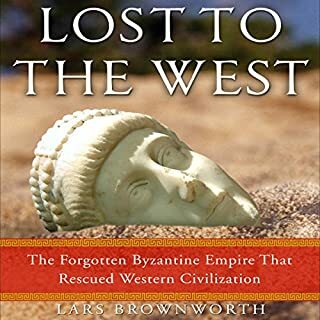 The author shows that three empires in turn benefitted from Byzantium’s contributions: Western Europe; the Slavic Countries most notably Russia (the self styled “Third Rome”); and Moslems. Significantly, Byzantine monks invented the Cyrillic alphabet for use by the Slavs and translated the bible into a vernacular in the 9th century. The British did not have a vernacular bible till the 17 century. The term “Byzantine” has acquired the pejorative meaning similar to the term "Kafkaesque" because of complication in messy dynastic changes, the similarity of names of offspring, and theological disputes in which the Orthodox beliefs of the Byzantines were more in keeping with the Christian canon than Rome’s view on the same topics. Edward Gibbon, a skeptic, weighed in with his acidic and exaggerated descriptions of the worst that Byzantium had to offer. This is hardly a reason to dismiss the innumerable positive achievements of Byzantium and its effect in enlightening Europe and making the Renaissance possible. See also Justinian’s Flea and the Rise and Fall of the Roman Empire by Edward Gibbon, both available on Audible. 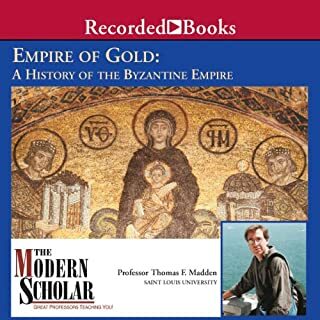 A scholarly work that will be primarily of interest to dedicated students of the age, Sailing from Byzantium chronicles the profound influence that the 1000-year old Byzantine Empire had on 1) Europe and the Renaissance, 2) Slavic countries (Russia and the "Third Rome") and 3) the Islamic world. Of particular interest to me were the Byzantine humanists who played a critical role in the transmission of Hellenic thought and classical knowledge to the world. The eminent scholar, Chrysoloras, and other Byzantine humanists carried by hand many of the ancient Greek writings to from Constantinople to early Renaissance Italy and were profoundly influential on the flowering of new thought and the intense creativity of the time. I am an avid listener of non-fiction. I had previously listened to Thomas Cahill's How the Irish Saved Civilization and had found it fascinating and of course informative. I have also recently finished The Rise and Fall of Alexandria by Justin Pollard and Howard Reid that similarly entertained and educated me. 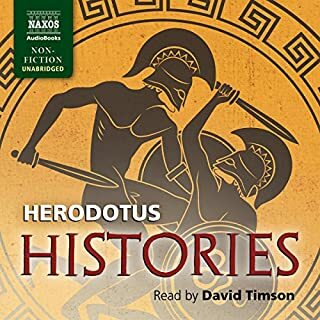 However, I have to admit that after two determined attempts of academically disciplined listening I have yet to finish this book. It is simply too dull. This book drones on and on, listlessly and lazily listing names of persons until one can hardly remember the point of it all. I don’t doubt for a moment the accuracy of the names, dates, places, and actions cited. I just wish it all could have come together with some compelling prose that could at least propel the read to the final period. Very well researched, this book fills in a lot of gaps, while tying together Byzantium's vast influences on early world powers. 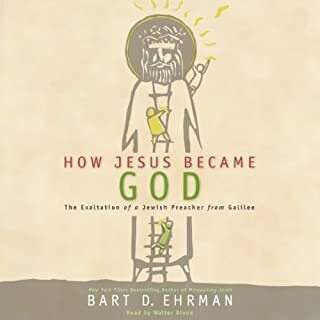 I have read and listened to several histories of the eras covered in this book, and found that this one pulls them into perspectives with each other very nicely. The most disappointing part is that the reading is truly awful! I have listened to many dozens of audio books and this narration rates high on the list of the worst. Possibly the reason some reviewers found the book dry is due to the narration, which is ponderous and halting at best, and screamingly annoying at worst. There are too many mispronunciations and sentences left hanging off a cliff. The reader does not even know how to read the possessive of a name ending in "s" - grammar school stuff. I feel cheated, in that the sample given on this site is the only cohesive reading the narrator gave in the entire performance. I would have enjoyed the book much more with a better reader. Not a first read for the period. 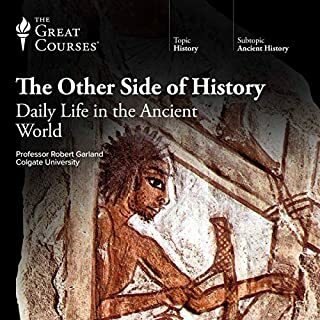 I would recommend this book to those who are already students of the period. It is a difficult read. I made it through and did follow much but my hair line receded from all that flew over my head. As with most historians Wells attempts to show the pivotal influence of his topic in shaping the rest of history. Byzantine influence was no doubt a factor in the Arab, Slav, and European worlds, but the avalanche of detail obscures the point to the casual reader. This book was both informative and interesting. At times it gets a little dull and sometimes the amount of names require that you rewind more than necessary, but over all it gave me a different perspective than what I have previously read. It has three parts: Rome and how the Byzantine Empire continued as "Rome" long after the Roman Empire's demise and Europe sank into the dark ages. 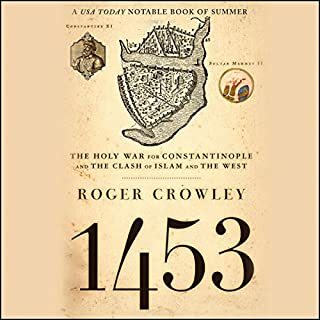 Constantinople and the rise of Islam, its conquests in Europe and the East, and the rise of the West. And lastly, how eastern Europe ultimately kept the Byzantine culture and religion alive. It is a very good "global" view of the regions history and its affect on us today. The Byzantine Empire ultimately kept the Greek philosophies, art and culture alive for the west, and probably even Christianity, as well as its flavor of Christianity. Overall, it's probably closer to a 3.75 rating but I think it is a book worth reading (ok, to listen to). If you could sum up Sailing from Byzantium in three words, what would they be? I just want to give a star rating. If you force me to say more, I will give you this tripe.